Cleveland, Ohio groove metal legends Chimaira have truly made a name for themselves. As one of the pioneers in the New Wave of American Heavy Metal alongside veterans Killswitch Engage and Lamb Of God, this metal beast is brutal and relentless. Though the band has been in and out of incosistent lineup changes over their lifespan, Chimaira have released seven full-length albums, an EP, two live DVDs and innumerable album documentaries. 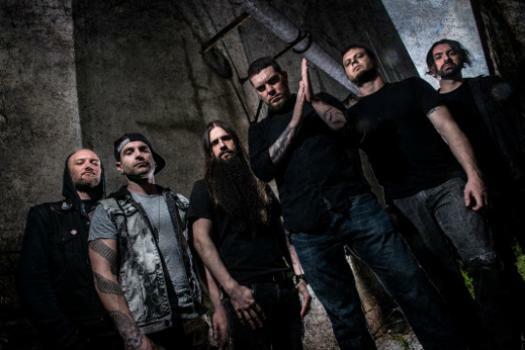 With nothing to lose, Chimaira has persevered through a musical evolution that stays true to their sound while cultivating a signature atmosphere on each subsequent release. If you're a fan of metal, Chimaira is a must-have band. Chimaira's sound is characterized by a groovy metallic sound, often alternating between chugging riffs and thrash metal marathons. One of the band's key elements is the use of a synthesizer, something quite unordinary in this kind of metal scene in the early 2000's. The atmospheric touch adds depth to each song, almost like a movie score. Another signature element is the use of the guitar solo, another unlikely touch that wasn't common in their early career. Vocals have a consistent, abrasive harshness that occasionally is contrasted with sweeping cleans, though most albums stay on the heavy side. The band's deep catalog can be daunting, so here's a quick guide. Debut Pass Out Of Existence is charged with nu-metal and heavy with synths, often overlooked when compared to the brutality and overall improved songwriting on later albums, though it contains such great fan favorites as "Dead Inside" and Severed." The Impossibility of Reason catapulted the band's career with its stronger songwriting and consistency. Check out "Pure Hatred" and "Power Trip," two seriously pissed off songs that are still live staples. The self-titled Chimaira is an epic onslaught. Though many songs are long, "Salvation" still edges out as one of the best of their career, as well as the chaotic opener "Nothing Remains." Resurrection cranks up the groove level and shortens the songs up, though "The Flame" is a devastating headbanger that clocks in over 5 minutes. If you're looking for a slower sound, The Infection rides the groove train even harder by dropping BMPs in favor of sweet and solid distortion. "The Disappearing Sun" is mindnumbingly heavy with an insane triplet kick-drum riping up the intro. After a short lineup shift, The Age of Hell was kicked out featuring a wide mix: a few breakdowns, bass drops, fast and slow tunes as well as some Alice in Chains influence. "The Year of the Snake" rips holes with its simple but catchy riffs, another staple and one of their best. The band's most recent lineup change leaves vocalist Mark Hunter as the sole original member. Crown of Phantoms, the band's brand new release, exchanges some of their signature sound for some Daath-esque cues and some new-found ingenuity. New lead guitarist Emil Werstler plays a different kind of solo from original guitarist Rob Arnold but its all quite solid and refreshing. MD will have a review of Crown of Phantoms up in the near future, so be sure to check out Chimaira's discography in the mean time. As one of the most solid metal band's still alive and touring today, Chimaira have separated themselves from the masses by forgoing cliches for some of the most melodic-yet-neckbreaking heavy tunes of the past fifteen years. Look forward to the band pushing forward through the lineup changes to reach a whole new level of chaos - The Kings of Cleveland will live on.